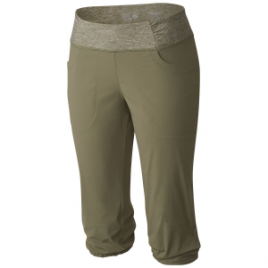 The Mountain Hardwear Women’s Dynama Capri has the stretch that dynamic climbs call for. Its lightweight stretch fabric has a DWR coating to shed the falling raindrops that ruin your sending sessions. A low-profile wide waistband gives you a flattering figure at the climbing gym.